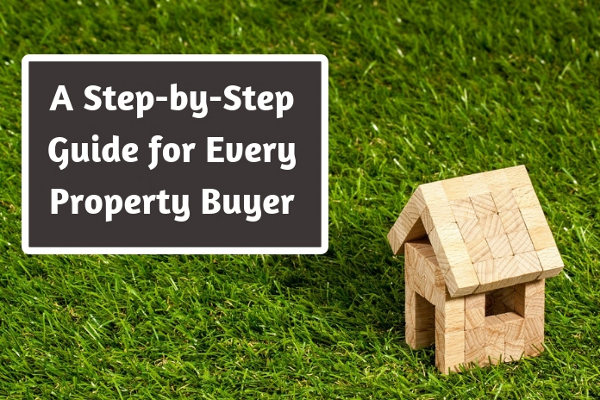 A Step-by-Step Guide for Every Property Buyer - GoodGuysBlog.com - New, Technology, Marketing, Health and So on. Buying a property in India can be really daunting at times. You see so many lucrative deals and properties in your vicinity and want the best deal to seal. Here, we will give you a step-by-step guide which you can consider as your checklist as well during your property buying journey. We hope our list will help you to make a better decision. Everyone must have experienced hardship while selecting the right property. Property search genuinely do requires a lot of effort. Hence, the first thing that you should do is to get in touch with the right property service or agent. Your agent will become your partner during the property hunt. They know everything about the locality, specifications, amenities that each property provides, and about the surroundings. Hence, picking the right agent is the key here. They also have years of experience and can become a boon for you while negotiating for a property. Once you get in touch with the right property agent to look for the best projects in Gurgaon, start looking for all the prospective properties that you think are good. Search for the localities. You must have surely made some key parameters for yourself. Hence, throughout the search make sure the properties that you have shortlisted fits into that. Your key parameters should include amenities, surroundings, key features, as well as all the specifications that you want to be there. Start visiting these places, carry a notebook if required. Ask for permission to click some photographs as well as videos to go through them once you leave the premise. Start noting the things that you see are good and also the things that are the drawbacks. Start making a list. Sit down later and start evaluating all of these points. Before buying a property make sure that you know your budget. This should be the first thing in your key parameters. Always remember that besides the cost of the property there will be some additional charges applicable as well. Like legal fees, stamp duty, brokerage, property taxes, and more. Hence, decide your budget accordingly. Speak to your agent about your budget and ask him to show you the properties accordingly. Now, the next thing that you need to do is to take out the list of the properties that you have prepared. Start evaluating them one by one. Look for the one which suits your budget and along with it also start looking for the banks which give good plans for home loans. It doesn’t matter whether you are purchasing a brand new or a secondary project in Bangalore, you should always make sure that the seller has the property listed. If the house that you have selected is in a housing society then make sure the seller has all the related documents like occupancy certificate and the safety certificates too. You can also get in touch with a legal expert to sort these things out. He will handle all the legal formalities. Make sure that the project that you have chosen is legal and confirmed. The bye-laws are important, make sure that they break no violation code. Never forget to get the NOC for all the important documents like from the water department, land ceiling authorities, as well as the electricity board. Get rid of all the unwanted encumbrances in the property. Ask for payment procedure. Payment procedures differ from developer to developer hence consult with them before you proceed. Do note that you will have to pay a certain amount as down payment. Speak to them if they offer any kinds of flexible plans which can benefit you. Once you pick the right payment plan for you, try to speak to the bank for a good home loan deal. Collect all the necessary documents, like income and tax-related papers, property papers, legal papers and more to get your home loan approved as quickly as you can. Make sure you get the sale agreement signed between the developer as well as the seller. This is important to do. Lastly, don’t forget to register the sale deed. Go to the local municipality and get all the necessary things done and get the property registered in your name.